From executive producer Ben Wheatley (Kill List, High-Rise) comes a mind- bending plunge into hallucinatory terror. 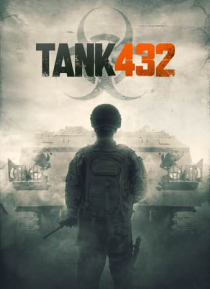 Under siege by a mysterious enemy in an apocalyptic, war-torn landscape, a band of mercenary soldiers, hooded hostages in tow, seek refuge inside an abandoned military tank. But their sanctuary soon reveals itself to be a steel-walled prison. As the group succumbs to claustrophobia, … paranoia, and increasingly disturbing delusions, it becomes clear that the real threat may lie not outside, but within. The directorial debut from longtime Wheatley collaborator Nick Gillespie unfolds like a delirious, pulse-pounding puzzle.